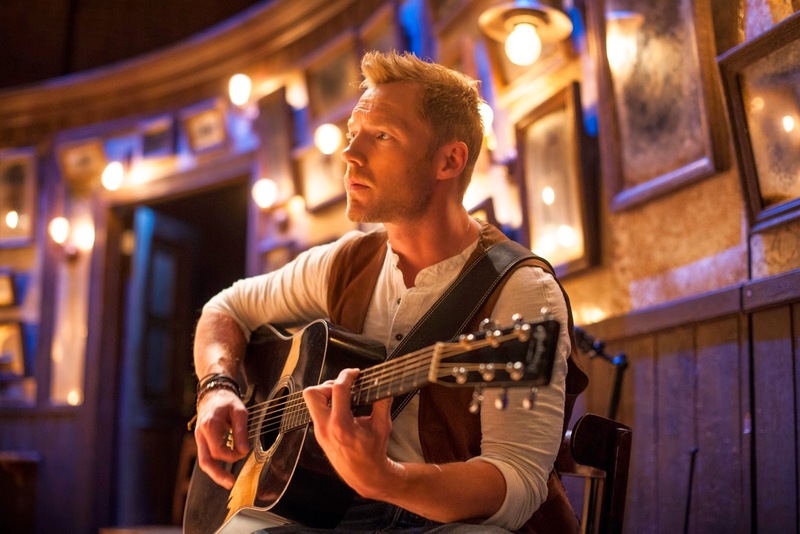 Ronan Keating and Jill Winternitz as Guy and Girl will lead the cast in Once The Musical at the Phoenix Theatre until 21 March 2015 when the production will complete its West End run prior to a European tour. Keating joins the internationally award-winning Once on 17 November, with press night on 25 November 2014. Based on the much-loved Oscar-winning film, Once bursts onto the stage with a musical celebration of love, friendship and Irish music performed by cast of actor/musicians. A chance encounter between a girl and guy from different worlds but with a shared love of music and songwriting sparks a deep connection and a tender, unexpected romance. The West End production of Once opened in April 2013 and went on to win the 2014 Olivier Award for Outstanding Achievement in Music. The critically acclaimed Australian production of Once opened at the Princess Theatre in Melbourne earlier this week. The Broadway production, winner of 8 Tony awards including Best Musical, will play at the Bernard B Jacobs Theatre until 4 January 2015 where it will have run for three successful years. The US tour, now in its second year, continues and later this year will make a visit to Japan. A Toronto production will open in February next year and the first non-English language production will open in Seoul, South Korea in December 2015. Also in development are productions in Sweden, Brazil, Holland, Greece, The Czech Republic, Thailand, Ireland, along with a Japanese language production. The Producers of the West End production are Barbara Broccoli, John N. Hart Jr., Patrick Milling Smith, Frederick Zollo, Brian Carmody, Michael G. Wilson, Orin Wolf and Michael Rose in association with New York Theatre Workshop. Ronan Keating will perform the role of Guy from 17 November 2014 except at performances on 20 January and 24 January 2015.